With the river running steady at 1m on the gauge at East Stoke the river couldn't be looking better. The winter floods have given the river bed a good clean and the runs look superb. The large inaccessible pool at the top of our beat has now been by-passed by the main river. A walk there a couple of weeks ago confirmed what i felt might have happened. The big question now is what difference will this make to the fishing on our top beat? On a positive note I would think that the fish might be spread out a little better. 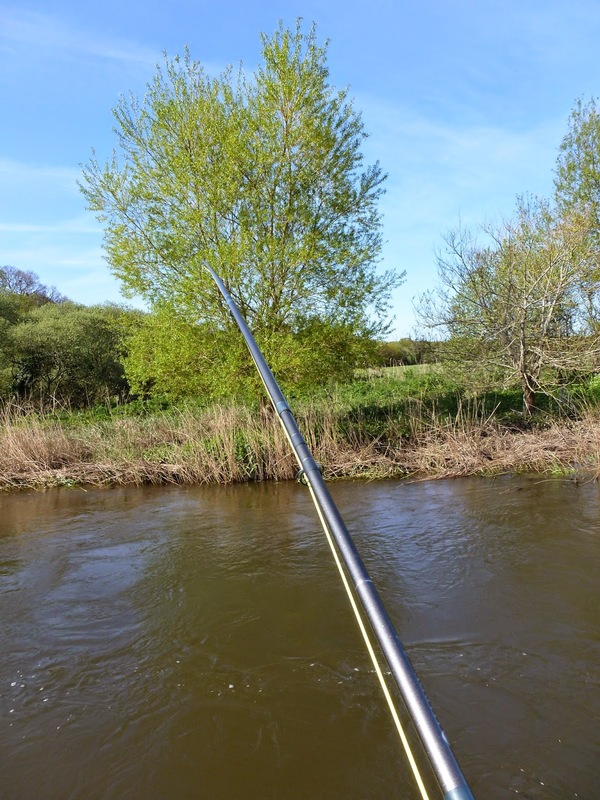 As the river is now dropping and May is approaching hopes are high for the season ahead. There may even have been the odd fish come in after Mondays high tide. Personally, I can't wait to get down to the river and make those first few cast of the new season, with a little luck, just maybe, my wait to get off the mark won't be too long!